Bitcoin is really easy to work with. Create an account with Coinbase or Gemini and you can purchase BTC through them. You can do a wire transfer from your bank and buy crypto from their exchange. You can also use a credit card if you need it quickly (this option is not recommended due to the fees applied). All-in-one wallet to secure, manage and exchange blockchain assets. 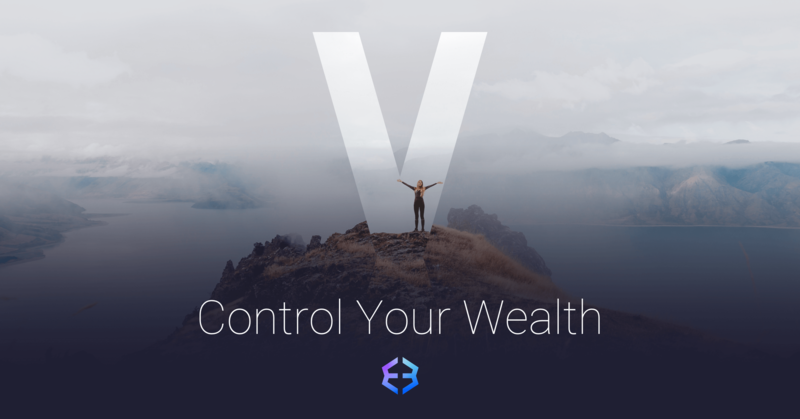 Exodus is free and supports multiple currencies. It is just a program that you download and install on your computer. It will provide you with all of the recipient addresses that you will need for each currency that you decide to use. These recipient addresses will be unique ID’s, similar to email addresses or IP addresses, but for crypto. If you decide to transfer directly from the exchange to your broker’s address in lieu of using your wallet, just make sure to send a very small test amount to make sure that it is possible first, as some exchanges may have restrictions on where crypto can be sent directly. Sending crypto is as simple as copy/pasting the wallet address of the recipient and choosing the amount that you want to send. If you are sending money back to your wallet, from your broker, for example, then you will use the unique address that your wallet created for that specific currency that you are sending. It is as simple as sending/receiving an email. Each type of cryptocurrency that you decide to use will have its own, unique address (e.g. BTC, LTC, ETH etc. will all have their own recipient address). In order to convert BTC into fiat so that you can withdraw it from your bank, you can do this using Coinbase or Gemini, similarly to how you sent fiat and converted it to crypto, you would sell the crypto on their exchange and wire/withdraw the fiat back to your bank account. There are loads of videos on youtube that show you exactly everything that you need to do as it relates to this topic. The Court issued orders against Berndale Capital Securities, its associated entities, and Stavro D’Amore, freezing their bank accounts and preventing them from selling or otherwise dealing with their property. There are reputable crypto exchanges with reasonable pricing. For example, Kraken only charges $5 for a USD domestic wire transfer. There are a lot of cryptos to choose from that are faster and cheaper to use than BTC. As Mr. invisible mentioned previously, you can hedge to eliminate volatility risk. That is actually pretty impressive to me - may move my Coinexx accts over to AGM Markets knowing that C2 is offering that broker option. I really don’t like the direction Coinexx is going for crypto only - just like FXChoice starts Feb 7th. UUGH!!! A non regulated FX broker without normal depository bank access is scary as heck for running higher end PAMM Fund operation. Doesnt look like forex trading is available to US residents on that website. Yes…talked to C2 on phone. You can use AGM Markets for US clients. Anyone still noticing differences in coinexx’s MT4 vs MT5 latency, just curious, I just started running demos for each, the MT5 demo is showing 140 ms ping. But the MT5 doesn;t allow hedging correct? What kind of spreads you noticing? Deposits in BTC – 0% in deposit or conversion fees for USD trading accounts + a 15% bonus (an offer we launched just a few days ago; our standard terms & conditions apply). Withdrawals in BTC – 1.5% conversion fee if the trading account is in another currency; 0% fees for withdrawals from BTC accounts. UPayCard – 1% in, 0.9% out. UPayCard’s own fees are one of the best out there. Although they do not seem to accept wire transfers in USD at the moment. VLoad – 0% in until 23rd February, 3.5% out (not 6.5% anymore – thanks to general feedback, we will be changing the fees in the system in the next few days); VLoad seems to have very modest fees, especially on withdrawals to bank accounts. If you are a current user of ePayments – 1% in, 0% out. They are not currently accepting new users from the US, but for those of you who are already signed up, that will be the most attractive set of conditions. Lastly, let us assure you that we will not be leaving the US market, and there are currently no reasons we should plan to do so. Our US clients’ accounts will stay active, and registration for new US users will also stay open. Wire transfers are, for now, indeed suspended, but we are working on improving depositing and withdrawing using online systems and crypto wallets (and hopefully adding more options soon). If you have any feedback, please take the time to let us know. This is called high commitment towards clients. Other brokers do come and explain/correct the statements or just do not care about it. I wish all of them would share their plans and explain current offerings/actions. thank you for the thorough reply and clarifying the situation with the fees. i was originally under the impression we had to first do a USD to BTC inter transfer (1.5% fee), then a BTC withdrawal (1.5% fee), which totaled to 3%. So FXchoice and coinexx allow btc withdrawl, but not turnkey, what methods of withdrawl are people here having success with turnkey? FYI… just noticed Coinexx added support for stable coins on their client portal. They added True USD, Gemeni USD and USDC as additional deposit methods. I guess they are also feeling the pain of crypto volatility and understand that stable coins are much better both for them and their clients. Hello everyone. I see this discussion talks about Coinexx. I was wondering if anyone here has an account with them and if they are trustworthy? I guess I was wondering if anyone has withdrawn from them? I was thinking of opening a small account to test them out, but I would like to see anyone’s experience with them being that they are a newer broker. Thank you. What is the largest deposit one would deposit and trust with FXChoice? Ask the man who makes $800 a week and he might respond $1500. Ask the man who makes $3000 a week and he might respond $7000. Its relative to each person. Not sure what kind of answer your’e looking for. Simply put, FxChoice is probably currently seen as the most trustworthy of the approved offshore brokers.